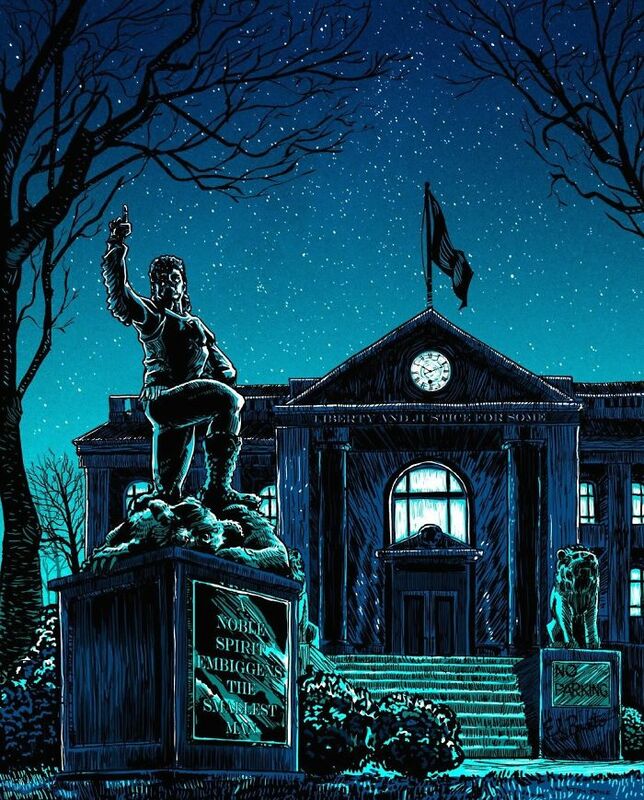 Austin-based illustrator and print-maker Tim Doyle first started creating these dark and dismal Simpsons-themed artworks as part of his first UnReal Estate gallery show for Spoke Art in 2012. 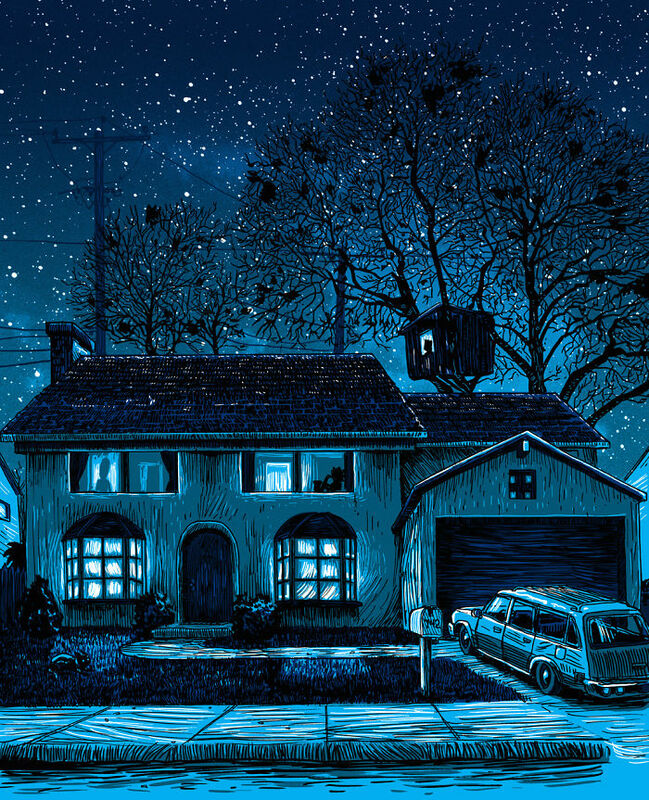 His UnReal Estate series re-imagines iconic locations found in the fictional worlds of well-known television shows (including – d’oh! 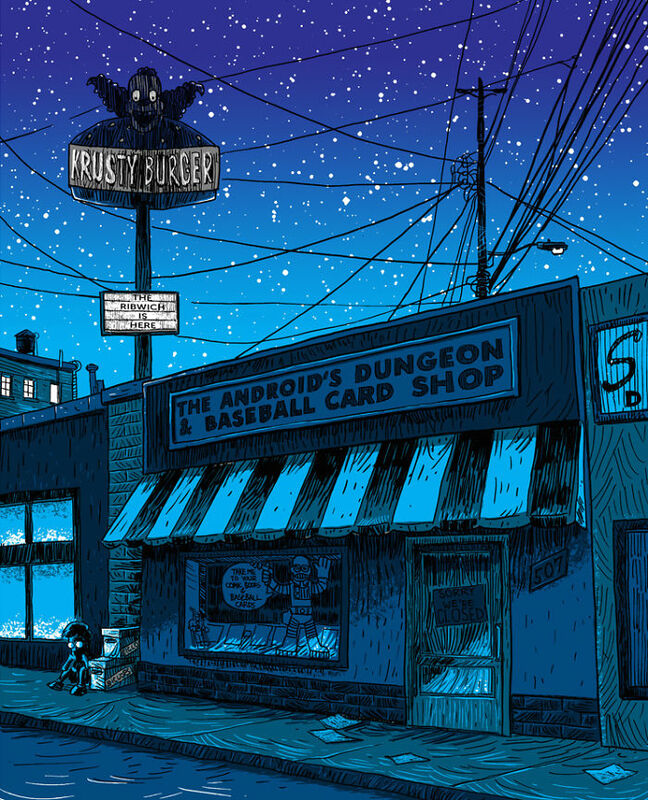 – Springfield, the town where the Simpsons live) and films in pop culture. Since then, Doyle has continued the series with more works for his subsequent 2013 and 2014 editions of UnReal Estate, and all three shows were sold out! 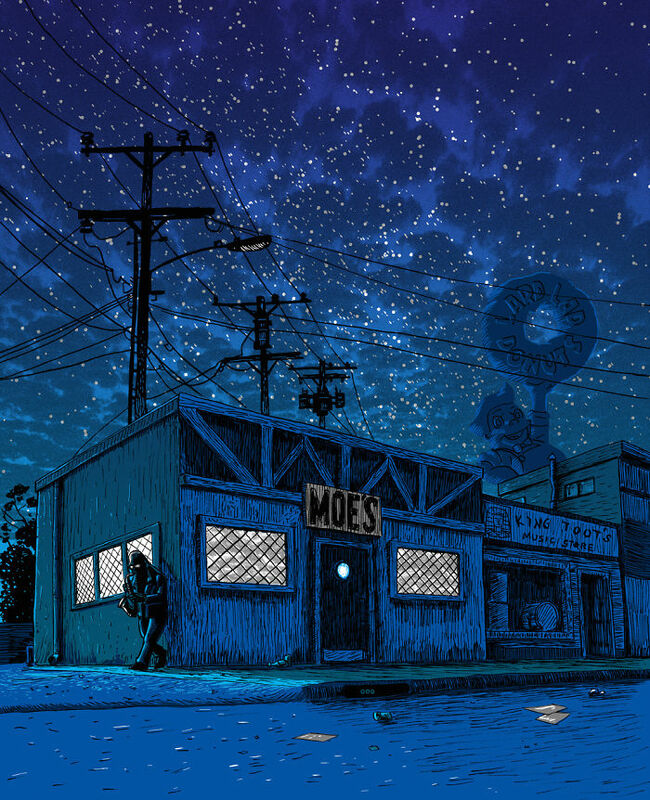 Doyle’s dark and disturbing vision shows a derelict Springfield, devoid of life and fallen onto hard times. 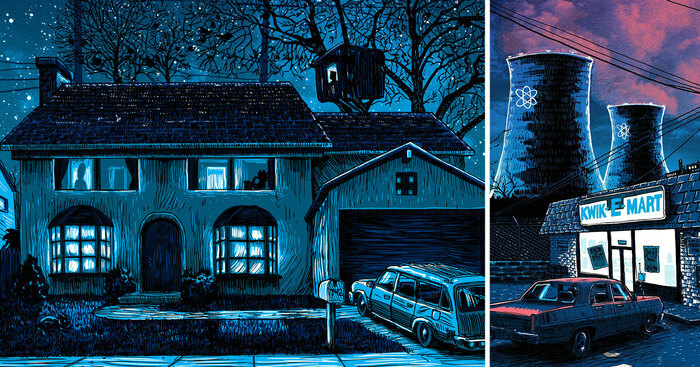 The eerily post-apocalyptic mood of these works is pretty glorious.